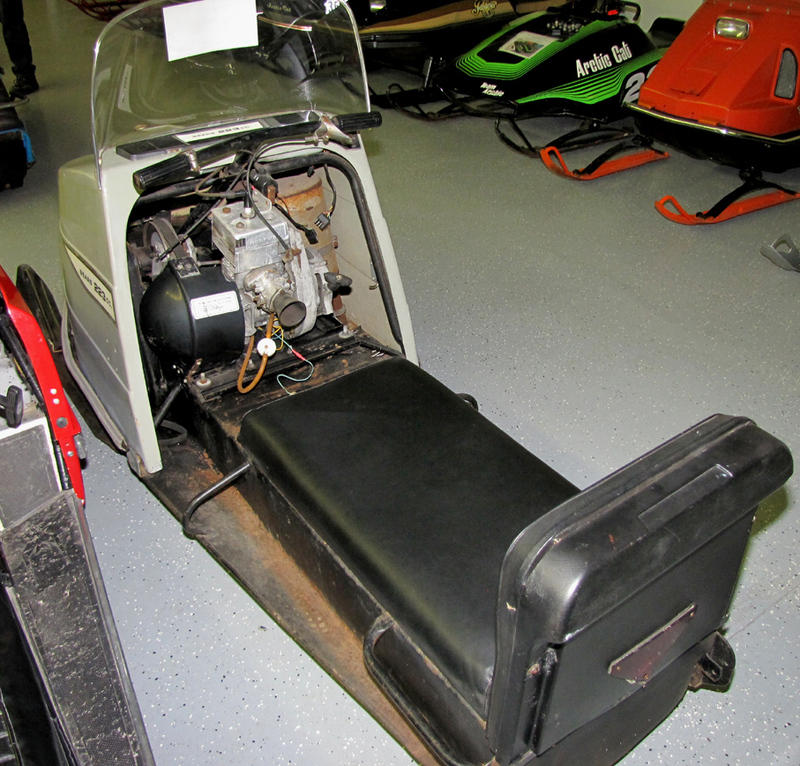 I BELIEVE THIS TO BE A 1971 SEARS 223 CC SNOWMOBILE. CLICK HERE TO SEE A JANUARY 28, 1971 SEARS SNOWMOBILE AD FROM A NEWSPAPER. 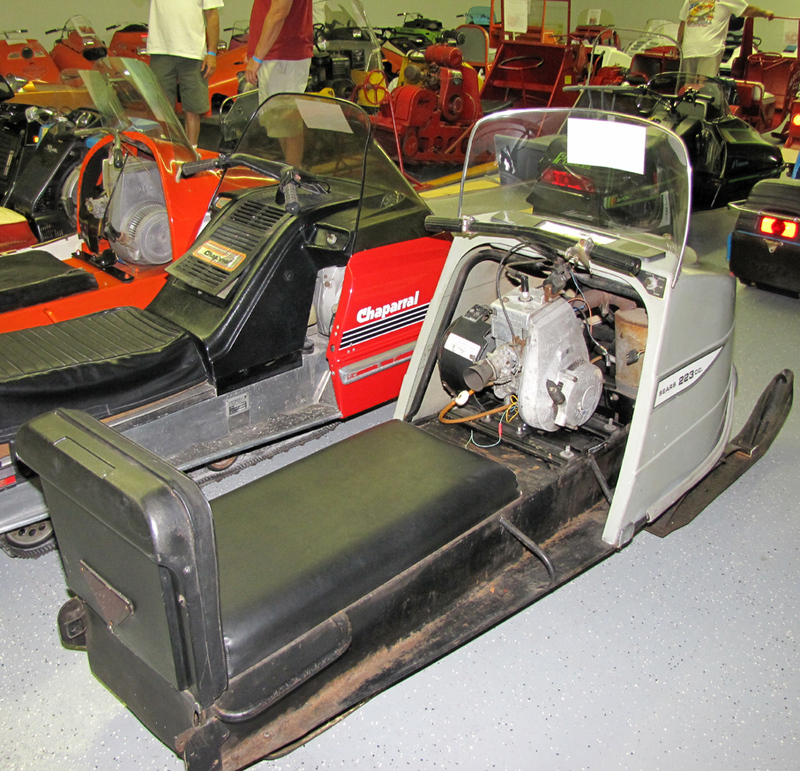 THIS AD ON MY SITE IS SHOWING THIS SAME MODEL SELLING AS A 1971 SEARS SNOWMOBILE. CLICK HERE TO SEE 2 OTHER ADS FROM DECEMBER 16, 1970 AND JANUARY 14, 1971. 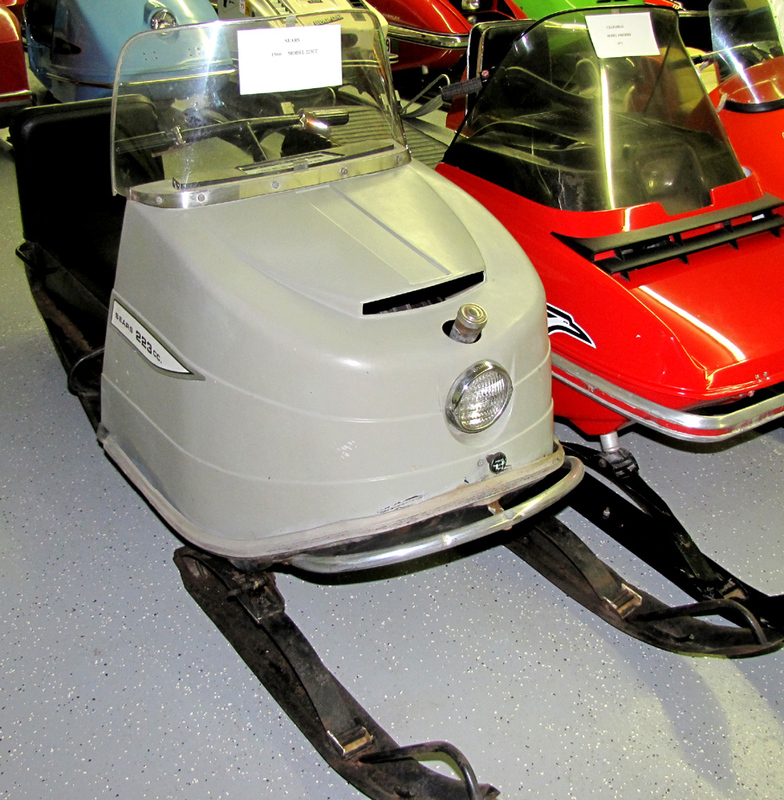 THESE SNOWMOBILES WERE MADE BY SKI DADDLER. 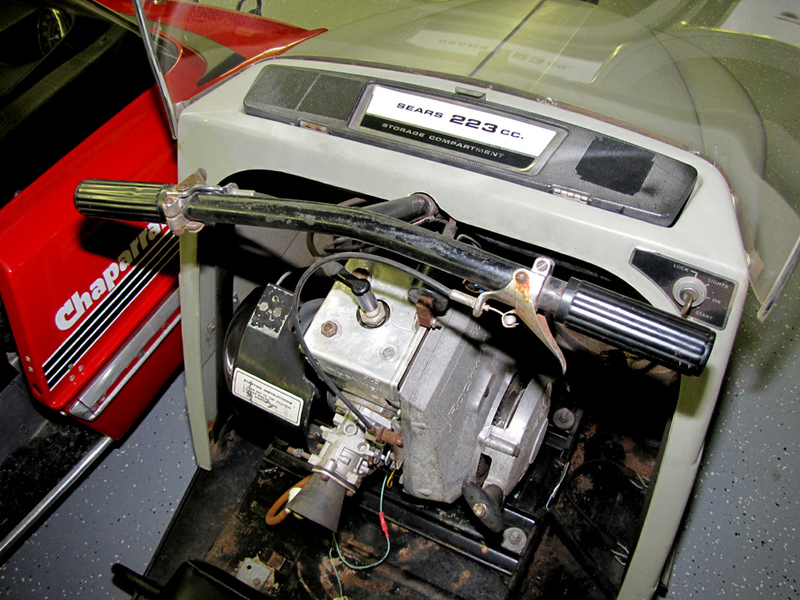 SKI DADDLER HAD A 223 CC MODEL IN THE 1969 MODEL YEAR " GREY SERIES". IT WAS THE SNO SCOUT 5811 MODEL. IT HAD A 12.5 HP JLO 223 CC MOTOR. CLICK HERE FOR MORE PICTURES FROM THE 1969 SKI DADDLER BROCHURE. SKI DADDLER ALSO HAD A 1970 MODEL "GREY SERIES" MODEL. SKI DADDLER WAS HAVING A BIG PROBLEM WITH SOME MODELS AND THEY WERE NOT SELLING WELL. 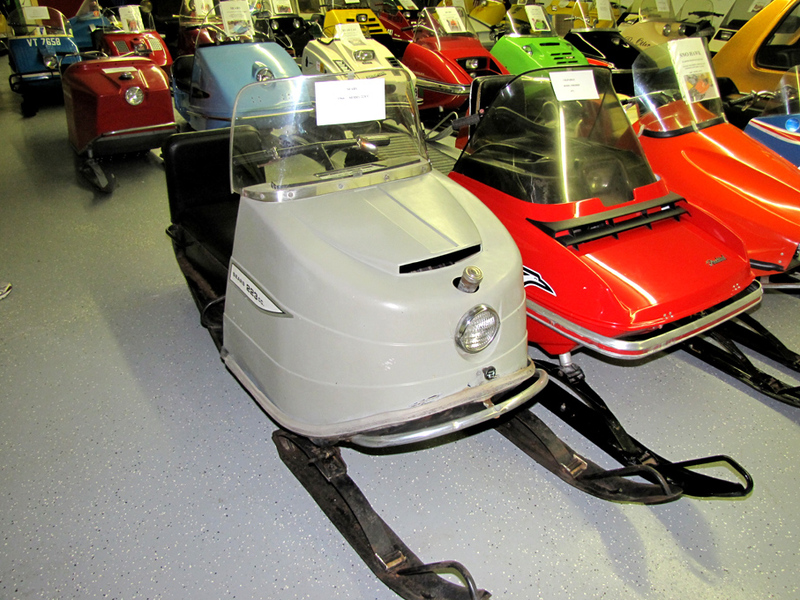 UNSOLD 1969 SKI DADDLER SNOWMOBILES THAT THEY HAD TO LIQUIDATE. 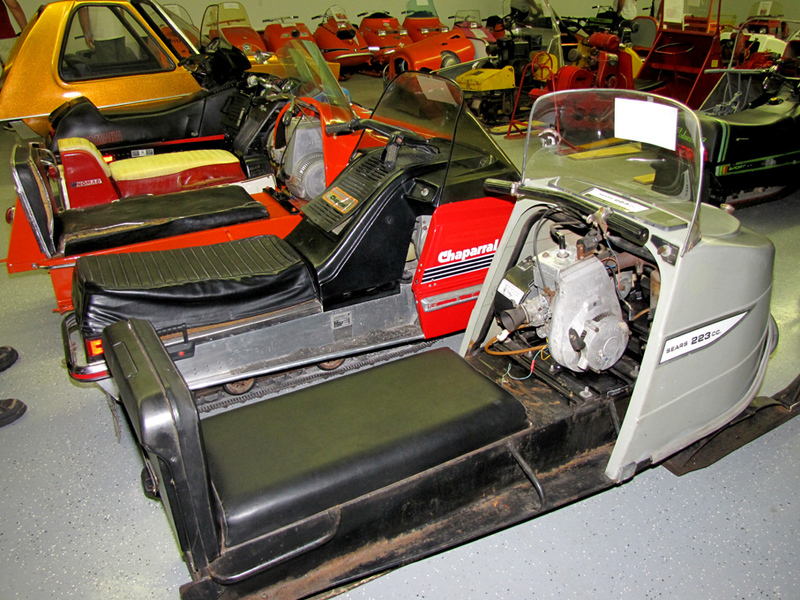 THE NEW LOOK 1970 SKI DADDLER SNOWMOBILES WERE ORANGEAND HAD A NEW SHAPE. 1970 SKI DADDLER MODEL WITH THE NEW LOOK. MADE A DEAL WITH SEARS. 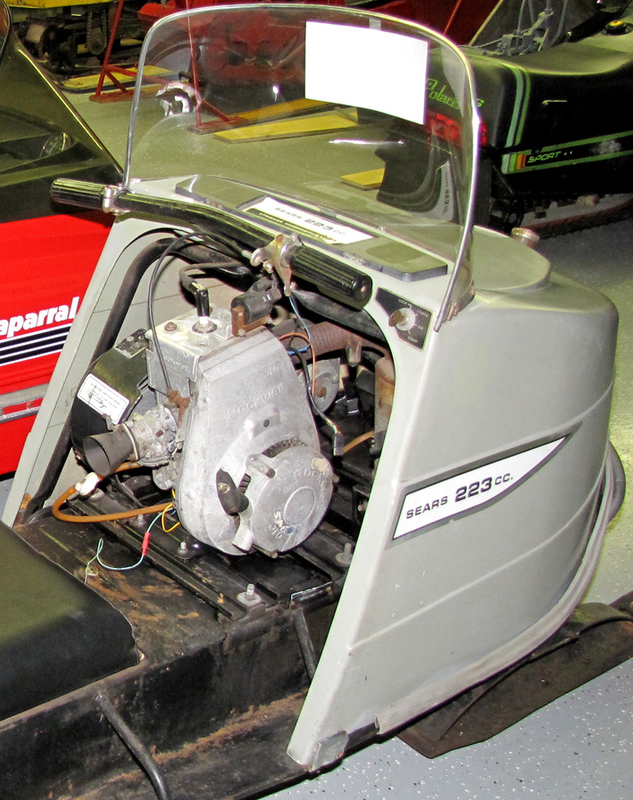 SOLD THESE SNOWMOBILES AT REDUCED PRICES AS NEW 1971 SEARS SNOWMOBILES.